Brianna Finnell submitted this photo and caption. Before this summer started, Impulse's drum line performed for the Arthritis Foundation Annual Orange County Walk at the Irvine Spectrum in Irvine, Calif. 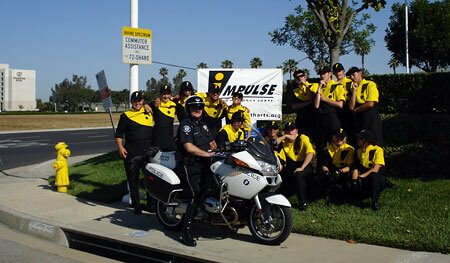 While we were taking a group picture, this motorcycle cop pulled up and posed with us. It was a great moment and an awesome day.